The 2001 LA Times article, “More Westside Office Space Turns Up in Latest Tally,” discusses a study in 2001 by Grubb & Ellis that showed a significant underestimated supply of Westside office space due to creative office conversions. Warehouse conversions to creative office space are small and numerous, making it extremely difficult to track. Likewise, supply statisticians may also underestimate the supply of creative office space. Conventional office space can be converted to creative office space for $50 to $80 per square foot in two to eight months by opening ceilings, exposing the structural architecture, and installing creative office features. Because it is so easy for traditional office space to be converted into a creative office, the supply of creative office space can expand rapidly. In Los Angeles, brokers call these spaces “soft creative” because they lack the full intrinsic drama of single level converted warehouses but can still provide the creative purpose for certain companies. Currently, in San Francisco, owners are working feverishly to convert conventional offices as well as older moth ball buildings into creative spaces and vacant land into new highrise creative properties. When it comes to creative space production, we are all “Houstons”. The last time around, the real estate investment and leasing community failed to accurately account for the full amount of creative office space. The industry needs to count the supply more accurately this time and hope the demand increases and sustains with equal fervor. Here is my next car. I have a Smart Car now. This is the next generation–a folding car. It probably won’t fly in the US. Commercial Version of the MIT Media Lab CityCar Unveiled at European Union Commission Headquarters | MIT Media Lab. The latest article from TechCrunch introduced RidePal, a company that recently received $500K from 500 startups. RidePal is part of the collaborative consumption movement that originates out of social networking in the Bay Area. Referred to as a “Google Shuttle for the rest of us,” RidePal is an innovative idea that should also be brought to Los Angeles. It has the potential to alleviate the parking conundrum and terrible commutes that plague Los Angelenos. The service allows companies, employers, and building owners to share the cost of shuttle services to transport employees to and from work. RidePal is a system that offers shared commuting buses equipped with Wi-Fi as well as a ticketing, reservation, and management platform. It currently uses a total of 15 routes that link San Francisco with the east bay, south bay, and peninsula. 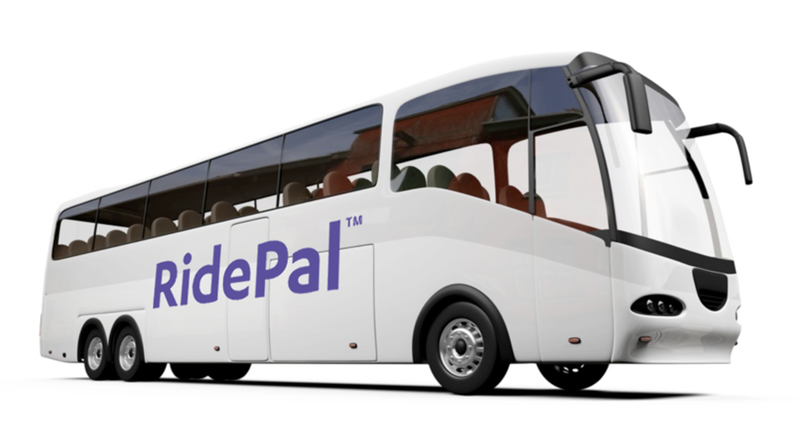 RidePal partners with several bus companies and builds new routes based on the demands and needs of companies and their employees. The shuttle program has been especially attractive for growing companies that are looking to expand their workforce because it is easier to retain and recruit employees from outside the area. Not only is RidePal an eco-friendly method of transportation, but it also benefits both companies and employees. Businesses that choose to bring this service to their employees don’t need to pay for the entire bus, but only pay for the capacity they need, which allows them to save costs. For employees, RidePal offers the opportunity to spend their normal commuting hours surfing the Web, completing work, or just enjoying newly freed up time that was spent driving before. If RidePal was brought to Los Angeles, Culver City, for example, could finally put to use their underutilized city and privately owned parking lots. The shuttle bus would provide transportation at these parking lots as well as to the Expo stations. It would only take one major employer without sufficient on-site parking and the Expo to begin this service to offsite parking lots and the Expo. The cost could be shared with other employers who want to also use a shuttle service for this purpose. After San Francisco, RidePal aims to eventually bring their service to other top urban clusters. Hopefully the program’s success in Northern California will influence companies in Los Angeles to take a second look into similar ride-sharing programs for their employees.